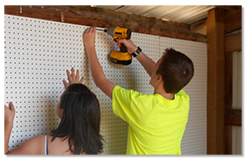 Whether you are moving into your first apartment, or you are a seasoned do-it-yourselfer, there are some basic power tools that can make a huge difference in the success of any home project. For most projects, cordless tools make sense. Newer technology means more power, and better battery life. Cordless tools won't limit where you can go- especially helpful if you are working on a project that's outside. And you won't end up with any damaged or fraying cords. While it's certainly not necessary to purchase all the basic tools at once, a kit can provide cost savings over purchasing each tool singly. 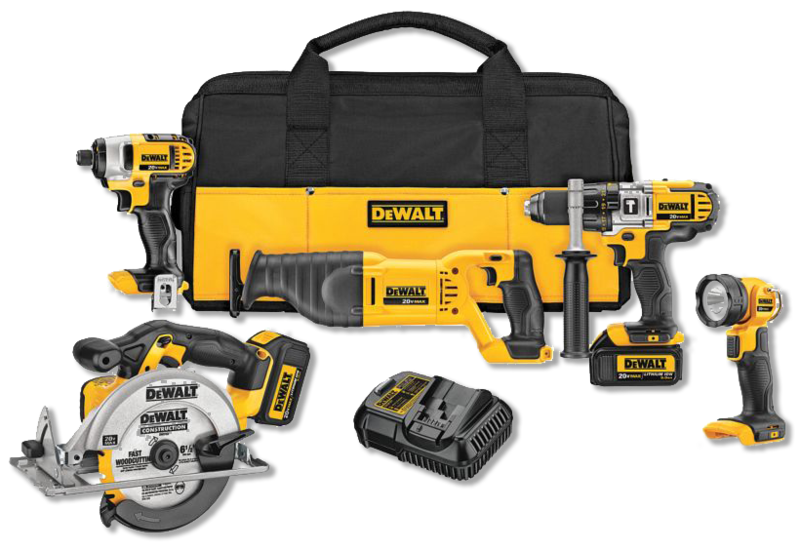 We especially like the DeWalt 20V MAX Lithium Ion 5-Tool Combo Kit. The DeWalt 20V Max Cordless Tool Kit comes with a hammer drill with patented 3-speed all-metal transmission and 1/2-inch self-tightening chuck; a reciprocating saw with key-less blade clamp that allows for quick blade change; a 1/4-inch impact driver featuring 3 LED lights with 20 second delay to provide visibility; a 20V Max LED work light that delivers 110 lumens of light output; and a circular saw with 6-1/2-inch carbide blade that can cut 2-by-4's at a 45-degrees angle. Global Sales offers a wide range of power tools. In addition to DeWalt, we also carry Makita and Hilti power tools, as well as any building materials or supplies you need to get the job done. Contact one of our building supplies experts at Global Sales and let us help you get the right tool, or tools, for the job.